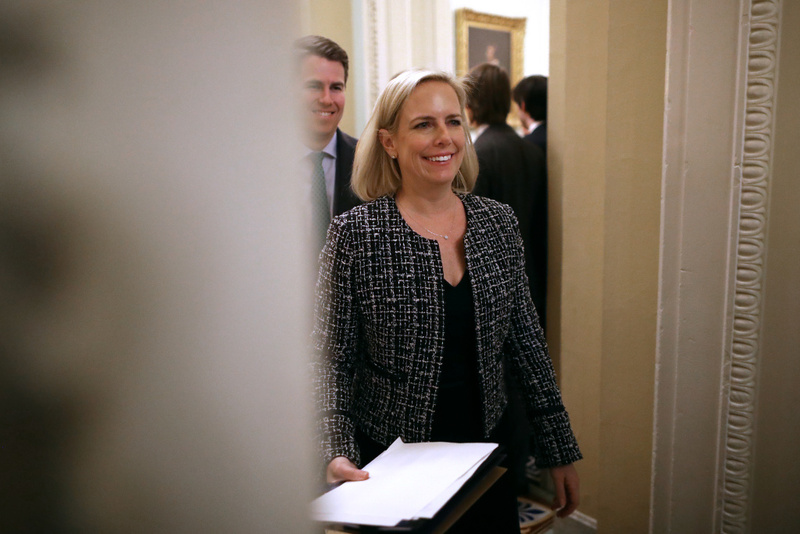 Homeland Security Secretary Kirstjen Nielsen leaves the U.S. Capitol after addressing the weekly Republican senate policy luncheons March 05, 2019 in Washington, DC. The fallout from former VP Joe Biden’s touchy-feely style continues, with follow-up jokes and apologies. What will this mean for his expected 2020 presidential bid? Is Bernie Sanders now the frontrunner?